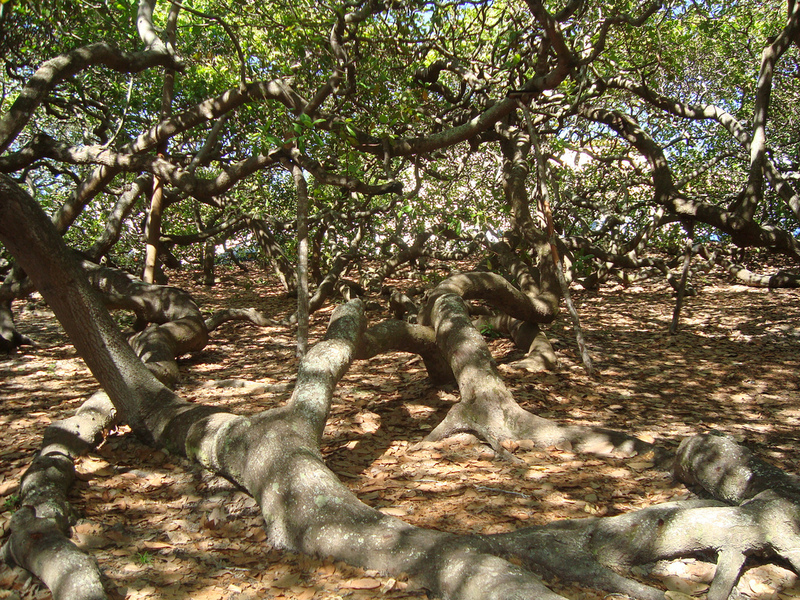 Leo with Pisces: the magic of Angel Oak. On the astrogeographical position of the tree in Leo the sign of the Sun and therefore the physically strongest planetary factor in astrology. Angel Oak is a Southern live oak (Quercus virginiana) located in Angel Oak Park on Johns Island near Charleston, South Carolina. The tree is estimated to be 400-500 years old. It stands 20 m tall, measures 8.5 m in circumference, and produces shade that covers 1,600 m2 . Astrogeographic position for morphogenetic field level 4 which describes the atmosphere and energetical topics of the tree itself: one coordinate is located in highly energetic, magnetic, royal fire sign Leo the sign of the sun, light, heart and electric power stations, birth emotional self-expression and indicator for local energetical centres and a site that supports gathering and centering ones own life energies. The 2nd coordinate islocated in highly imaginative, mystic spiritual water sign Pisces the sign of temples, dreams, fairy tales, reconnection with the spiritual plane and as a water sign an indicator for underground water ressources here. 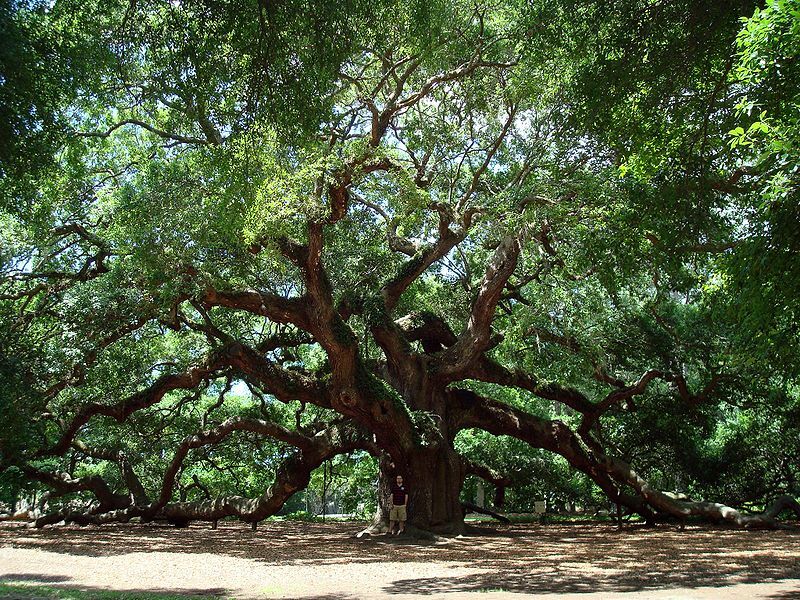 Through Pisces` strong resonance with spirituality it is to be understood as the resonator with the name “Angel Oak”. Both signs are not necessearilly expectable indicators for oak trees, But if so its definitely Leo which reflects the fiery aspect of oak trees and also there placement in prominent positions than Pisces.